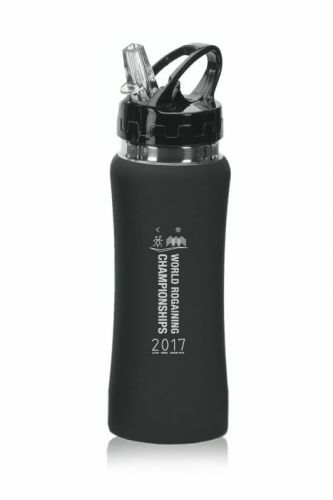 Choose Water Bottle with engraved World Rogaining Championships 2017 logo! An aluminum bottle covered with soft rubberized steel. It is ultra nice in touch with an easy-to-use spout for drinking. Opening the bottle is possible with one hand. It is perfect for spring & summer time, practical for sport and everyday life. Available in 2 colours. Capacity: 600 ml. *The product images shown are for illustration purpose only and may differ from the actual product.